2009 is a wonderful vintage for Chablis! And this Montée de Tonnerre 1er Cru from Domaine Raveneau is simply exceptional! This 1er Cru de Chablis has it all: complexity, flexibility and balance, richness and concentration. Very nice success of the field of Raveneau for this Chablis Montée de thunder 1er Cru 2005 noted 95/100. With very intense aromas, this Grand Chablis brings roundness and length in the mouth. Highly concentrated, it will be an ideal accompaniment to the most refined dishes based on fish. Also try it during a tasting for the wine itself, you will not be disappointed (e)! Operating temperature: 12 to 14 ° C.
White: pale gold in colour. To the nose, the full extent of its aromatic potential is not instantly apparent. It needs a little airing. This is a wine with good aging potential (5 or sometimes up to 10 years). Each Climat has its own typicity, depending on soil and exposure. The wines are well-built and long in the mouth. The Chablis Premier Cru wines beguile the palate, whether mineral and tight in their youth or flowery and developing delicate and subtle aromas with age. White chablis: the colour is rather light - pale gold or greeny-gold. The nose is very fresh, lively and mineral with flint, green apple, lemon, underbrush and field mushroom. Notes of lime-flower, mint, and acacia occur frequently, as do aromas of liquorice and freshly-cut hay. Age depens the colour and adds a note of spice to the bouquet. On the palate, these aromas retain their freshness for an extended period. Perky and full of juice, the attack is intense. Long and likeable persistence leads to a smooth and serene finish. Very dry and impeccably delicate, Chablis has a unique and readilyrecognisable personality. The name “Chablis” has long been usurped and sometimes still is. Be forewarned: there is only one true Chablis, only from France. Premier cru: The nose does not immediately express the full potential of this wine – it needs a little airing. It can be enjoyed young (5 years old) as well as aged (10 years old). Aromatically, Chablis Premier Cru is highly complex and therefore highly adaptable. Good matches will include cooked oysters and fish in sauce. The more mineral versions of this wine can be served with fine poultry or veal in white sauce. The more open variations are a wonderful accompaniment to small tripe sausages (andouillettes) and the burgundian specialty of snails (escargots). This is a wine with real breeding, that also does justice to the local ham speciality in Chablis (jambon au Chablis). Serving temperature: 10 to 11°C. 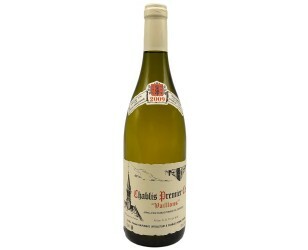 Chablis: White: it can be enjoyed young (2-3 years old) with fish or poultry terrines, or with grilled or poached fish. It also goes well with asparagus, which is normally difficult to match, as well as exotic cuisine: it can handle curries or tandoori dishes and it also balances out the mellow and subtle texture of sushi. Or you could simply drink it as a splendid pre-dinner drink. It harmonizes well with goat cheeses, as well as Beaufort, Comté, or Emmental. Located near Auxerre in the department of Yonne, the Chablis vineyards lie along a little river aptly named the Serein (“serene”). Vines began to growth here during the Romanera. In the 12th century, the Cistercian monks from the abbey of Pontigny developed its cultivation. 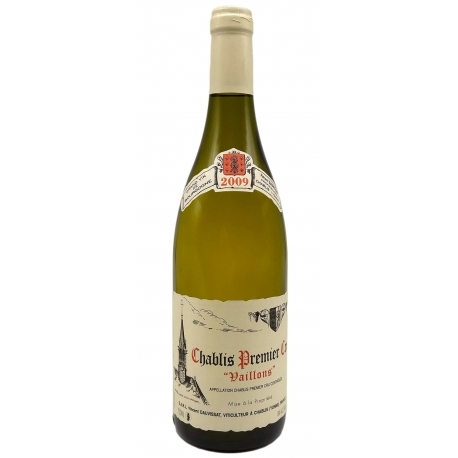 The AOC Chablis Premier Cru status was created in January 1938, thus confirming the excellent qualities of this dry white wine which, unlike the wines of some other regions, has held its leading place throughout its history thanks to the high quality of its raw material – the Chardonnay grape. Premier cru: No French wine-growing area has pinned its faith more firmly on the facts of geology. The main substrate is Jurassic limestone (specifically, Kimmeridgian limestone) laid down some 150 million years ago. The rock contains deposits of tiny fossilised oyster shells which remind us that Bourgogne once lay beneath a warm ocean. Regarding the Premier Cru, the particularity is that they are produced on either side of the Serein river (left bank and right bank). The most famous Climats are those on the right bank, surrounding the Grand Cru. Chablis: No French wine-growing area has pinned its faith more firmly on the facts of geology. The main substrate is Jurassic limestone (specifically, Kimmeridgian limestone) laid down some 150 million years ago. The rock contains deposits of tiny fossilised oyster shells which remind us that Bourgogne once lay beneath a warm ocean. Some particularly valuable Climats produce the Premier Cru.